A quick but very exciting update today! I’m delighted to be working with Artesano yarns teaching some crochet classes in the newly launched Artesano Academy. Artesano’s warehouse in Swallowfield is truly a yarn lover’s dream – and being able to teach there will be a real joy. This class will cover everything you need to get started with Tunisian Crochet, including the completion of your first project and learning your first four stitches. This class will teach how to make your first amigurumi crochet toy. Amigurumi is one of my favourite crochet techniques and it’s so rewarding. The granny square is the most recognisable crochet motif in the world and the basis for limitless projects. This class will teach you how to make a granny square and give you some examples of how to use your new skills to make bigger projects at home. You can read some more about the Artesano Academy and book onto these crochet classes on the dedicated Artesano Academy page. 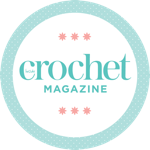 Would love to attend one of your crochet classes, but need more notice. I particularly would like a class on joining crochet blocks. Hi Josie, thanks for stopping by.